Ever wondered why Father Christmas wears red? Or where Rudolph and the reindeer came from? Historian Judith Flanders shares the stories behind some of our best-loved Christmas traditions. For some Christmas is a religious festival, for some, it's a time for a family celebration and for some, a time for gift-giving, eating and drinking. But why do we celebrate Christmas in the ways that we do? In Christmas: A Biography, historian Judith Flanders shares the rhyme and reason behind some of our best-loved Christmas traditions. Here are just a few of their stories. When did Father Christmas start wearing red? By the nineteenth century in both Europe and North America depictions of Father Christmas were common, but when did he start wearing red? Many think his attire was chosen by the Coca-Cola Corporation for their now iconic Christmas advertising campaigns (which ran for decades from their first one in 1931), but it seems he acquired his trademark suit long before that. Developments in printing technology and the lower costs for printing in colour from the 1880s onwards meant that Santa’s red suit trimmed with white became the standard. By 1916, Norman Rockwell’s famous covers for the Saturday Evening Post had a red-dressed Santa, and from 1923 the carbonated drinks company White Rock also used a jolly red Santa in their advertisements. Where did Rudolph and the reindeers come from? The first record of reindeer in reference to Christmas appear in an illustration in The Children’s Friend, published in 1821 in New York. A snowy Christmas Eve scene shows Father Christmas accompanied by a sleigh and reindeer, to aid his delivery of presents to children. Eight reindeer were then named for the first time the following year in Clement Clarke Moore’s poem ‘A visit from St Nicholas’ (now better known as ‘The Night Before Christmas’): ‘Now, Dasher! Now, Dancer! Now, Prancer and Vixen! On, Comet! On, Cupid! On, Donner and Blitzen!’ Rudolph appeared for the first time more than a century later, in a 1939 Montgomery Ward Christmas pamphlet for children, created by the chain store’s advertising copywriter Robert L. May. The red-nosed reindeer didn’t become the star he still is today until a decade later; when May’s poem was put to music and sold millions. The sixteenth-century poet and vicar Robert Herrick was the first to link mistletoe to the Christmas season, describing it as a Christmas trimming in one of his poems in the sixteenth century, but it wasn’t until Victorian times that kissing underneath the sprigs came into vogue. Despite several theories, there is no definitive explanation of where this where this custom came from, and why this ‘ancient’ Christmas tradition was updated. The word ‘wassail’ appears as early as the tenth century, in Beowulf, although it had no connection to Christmas: it was just a drinking toast. Then, in the twelfth century, Geoffrey of Monmouth’s History of the Kings of Britain told the tale of the fifth-century leader Vortigern, who was invited to drink with the toast, Lauerd king wacht heil! [Lord king, your health]. The story was almost entirely fabricated, and the parts that weren’t were anachronistic by half a millennium. Nonetheless, this legendary wæs hæil was transformed into ‘wasssail’, and became part of the holiday ritual. By the seventeenth century, ‘wassailing’ meant either going house to house, serenading the inhabitants and drinking their health from a special ‘wassail bowl’, in return for money, like carollers today; or it was a rural custom, when agricultural workers toasted their orchards, hailing the trees to promote a good harvest. As you doe give them Wassailing. 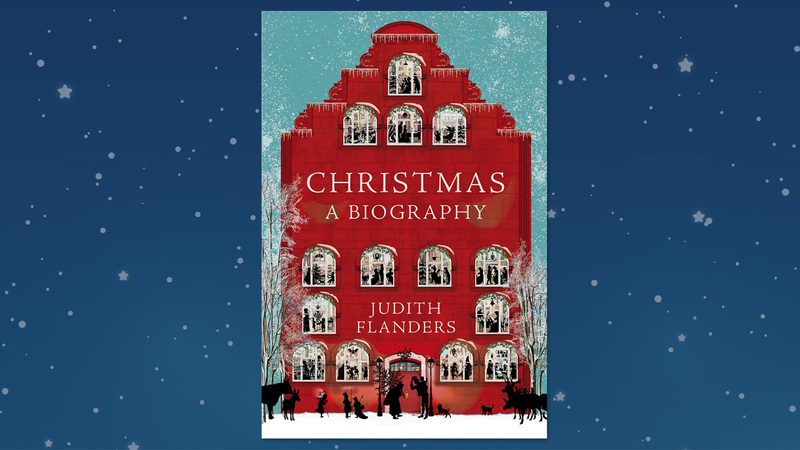 To discover even more of the stories behind our Christmas traditions, including the origins of carols, Christmas trees and wrapping paper, read Christmas: a Biography by acclaimed social historian Judith Flanders.